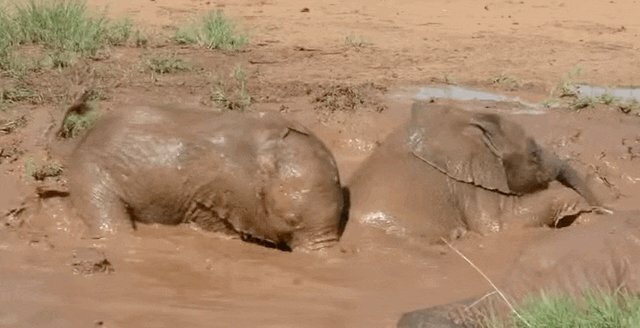 Elephants are majestic, graceful creatures - except when they're total goofballs. 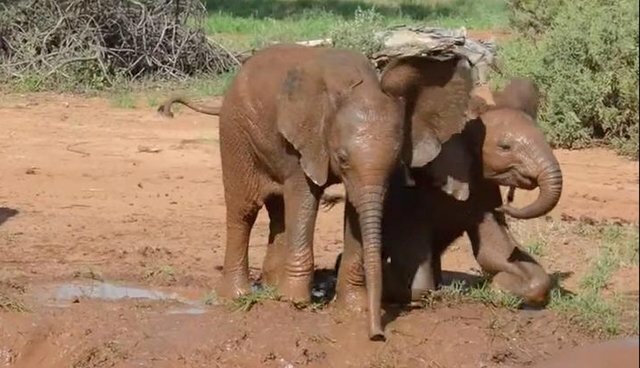 The field team at Ewaso Lions, a research project in Northern Kenya, happened upon this awesome baby elephant mud party. 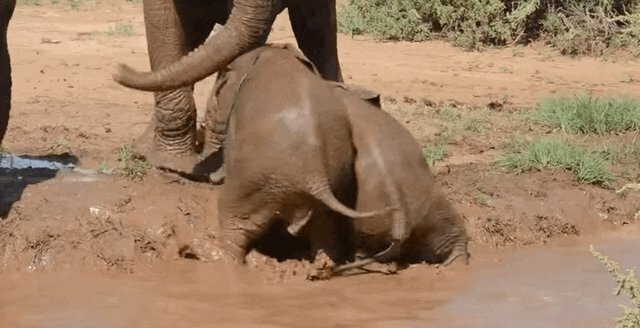 While the rest of their family hangs out, these adorable baby elephants have a ball getting down and dirty in a muddy watering hole. Hey, when it's hot out there aren't any better ways to cool off than splashing around! 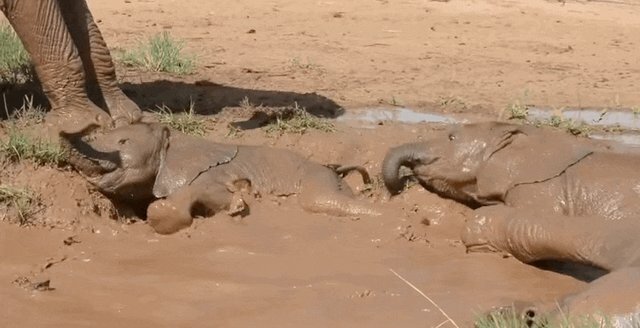 Have you ever met anyone who likes mud as much as these two? The only problem is, when they finally decide to get out of the hole, things are a little too slippery. "Maahm, gimme a hand here!" Wild and free and muddy ... just like they should be.